Canada’s national parks represent the country’s diverse natural environment and help form the geography of the Great White North. 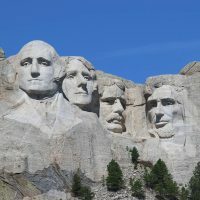 The parks are located in every province along the Pacific, Artic and Atlantic coasts, past looming mountains and rushing water. Come discover these protected ecosystems while learning about Canada’s heritage and the wildlife living in each region. These 10 parks are great for families and only the beginning of the natural wonders waiting for you in Canada. To celebrate Canada’s 150th birthday, Parks Canada is offering free admission to all their locations in 2017 with a Discovery Pass. This includes entry to the National Parks, Historic Sites, and Marine Conservation Areas. Families from around the world are invited to explore the diverse ecosystems that make up all 13 provinces and territories. Now is the perfect time to visit the majestic Canadian mountains, lakes, rivers, grasslands, and forests and learn about their history and the Indigenous peoples living here since the beginning that include First Nations, Inuit and Metis. Get ready for a once-in-a-lifetime experience at Fundy National Park, located in the stunning Maritime province of New Brunswick. Kids of all ages will love squishing their toes through the mud, sand and seaweed that makes up the bottom of the ocean floor. It’s home to the world’s highest tides, so twice a day, up to 12-metres of water flow in and out of this natural wonderland; at low tide, you can literally walk along the mud flats exploring everything remaining on the bottom. For families that love hiking and biking, there are over 62 miles of trails through the Acadian forest and 12 miles of shoreline. For older kids able to paddle in a kayak (or sit safely in a boat), the freshwater lakes are ideal for a tranquil boat ride past waterfalls and wildlife. For a modern twist on traditional camping, not to mention incredible views of the Bay of Fundy, Parks Canada rents a safari-style oTENTik that combines a tent and rustic cabin with beds and furniture on a raised floor. If you prefer a cozy cottage, Fundy Highlands Motel & Chalets are situated in the heart of the park and well suited for families requiring onsite amenities, but still wanting a back-to-nature experience. Georgian Bay is home to the largest freshwater archipelago in the world, and Georgian Bay Islands National Parks protects 63 islands stretching across 30 miles of natural wonders. It’s about a two-hour road trip North of bustling Toronto, and the biodiversity in this park is outstanding. It is accessible only by boat, and the DayTripper Ferry is a scenic 15-minute ride where your adventure begins immediately. 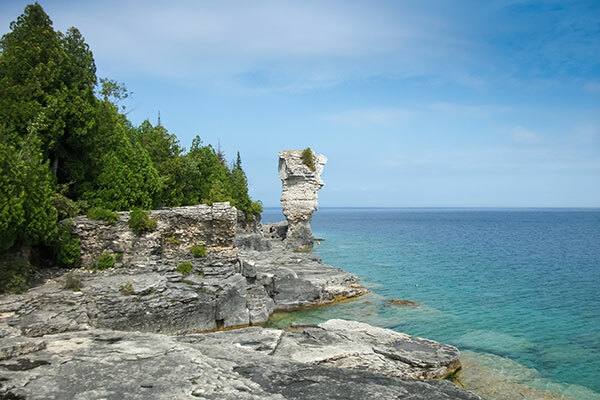 Alternatively, you can you can take a water taxi out of Honey Harbour or kayak over to this Ontario paradise. 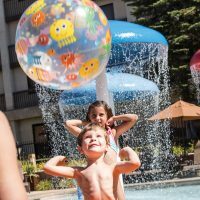 Cedar Springs Campground has family-friendly comfort stations including showers and cooking areas. Picnic sites are scattered throughout the island, so pack a yummy lunch and spend the afternoon playing at the beach, or rent a bike and pick a trail suited to your family’s skill level. There are several beaches and swimming areas along the eastern shores of Beausoleil Island; however, they are not supervised, so be prepared to watch little ones as they splash in the water. Located on the Alberta side of the Canadian Rockies, Jasper National Park is jam packed with adventures for all ages. If your kids love animals, it’s the perfect park to search for moose, elk, mountain goats, beavers, coyotes, and bears – of course from a safe distance away (and binoculars are helpful). The Mountain Wildlife Viewing Guide will show you where wildlife lives whether you are searching by foot, bike, or car, and learn about the species at risk. This rugged backcountry set against stunning crystal-clear waters is also home to hundreds of types of birds, several reptiles, and dozens of fish species. For the mini astronomers in your family, Jasper’s Dark Sky Preserve is a stargazer’s paradise year-round because the night sky is protected from light pollution through this program. It’s the perfect excuse to let the kids stay up past nightfall learning about our vast universe. 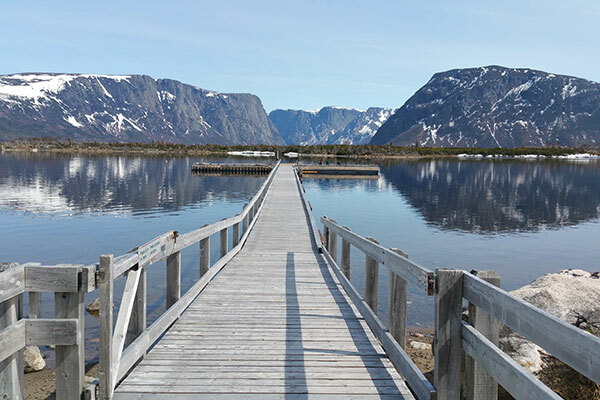 If getting back to nature is truly your goal, a visit to Gros Morne National Park will make all your dreams come true. Teach the kids what it means to unplug from electronics and stay overnight in a rustic cabin dating back to the Canadian logging days. It comes with your own private fire pit, perfect for roasting marshmallows. If you simply cannot go without plumbing or running water within arms reach, then the nearby campgrounds are probably better suited to your needs as there are showers, toilets and water taps there. Gros Morne is home to the fantastic Lobster Cove Head Lighthouse, sure to inspire wonder for little sea captains. Open from May to October, guests can discover how a century old lighthouse works and learn about the people and heritage of the area through photos, folk songs and historical light keepers logbooks. You may even see a whale swimming against the backdrop of a glorious sunset. If your family enjoys road trips, get ready to buckle up for the drive of a lifetime. 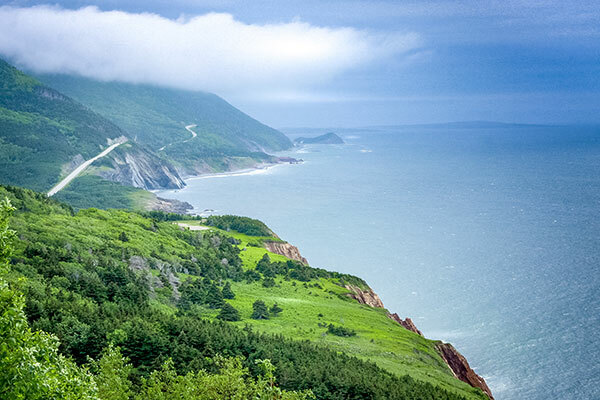 Often referred to as one of the most scenic destinations in Canada, a drive along The Cabot Trail to Cape Breton Highlands will provide you will endless photo opportunities of the lush forests, rust colored cliffs, sparkling ocean and highlands. The coastline trail loops around the north of Cape Breton in a glorious 184 miles, and you may even see wild moose roaming free and bald eagles flying overhead. Explore where the mountains meet the sea on a popular sunset hike, picnic in a cove, or go to the beach. Ingonish Beach and Freshwater Lake is family-friendly, with change rooms, restrooms, playground and picnic area, and surf guards are on duty in July and August. Kids age 6 to 11 can become Parks Canada Xplorers and participate in fun missions through hands-on activities. 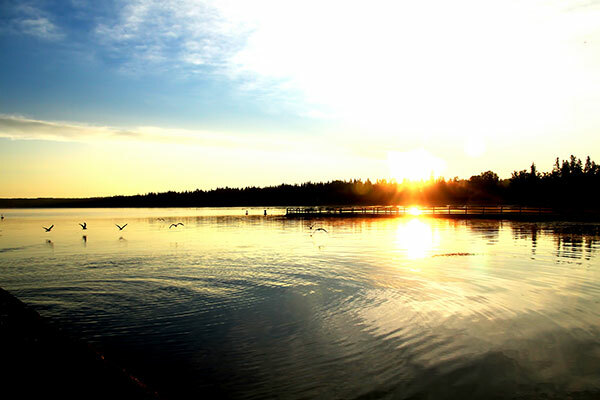 The resort town of Waskesiu is ideal for families and located right inside Prince Albert National Park. Explore the vast wilderness by day and come nightfall, dine in restaurants and sleep in hotels or cabins. If you are intent on sleeping closer to nature, there are also 10 oTENTiks and a full-service campground. The park is often referred to as a bird lover’s paradise with over 200 bird species, so get those binoculars ready. 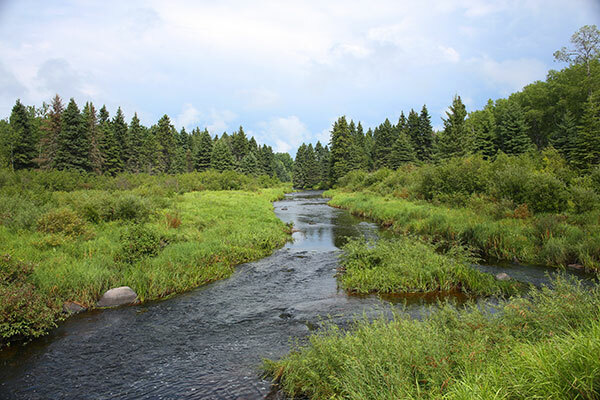 Hike among grasslands, aspen parkland and boreal forests with 19 trails to choose from, ranging in level and difficulty. For younger kids, short walks followed by a visit to the historical Nature Center or on-site Museum is a fun adventure, while the tweens and teens in your group will love searching for the famous Canadian red Adirondack chairs to complete their selfie missions and post images on social media. Does your family want to be lighthouse keepers for a night? The light keeper’s house is on the islet of Ile aux Perroquets in Quebec’s Mingan Archipelago National Park Reserve. Appropriately designed in 50’s decor, the lighthouse allows kids to learn about lighthouses, maritime history, and foghorns with a breathtaking view of the world. You arrive by boat towards the iconic red and white lighthouse and the fresh ocean air welcomes you. So do Atlantic puffins and razorbills flying overhead or happily sailing next to you. 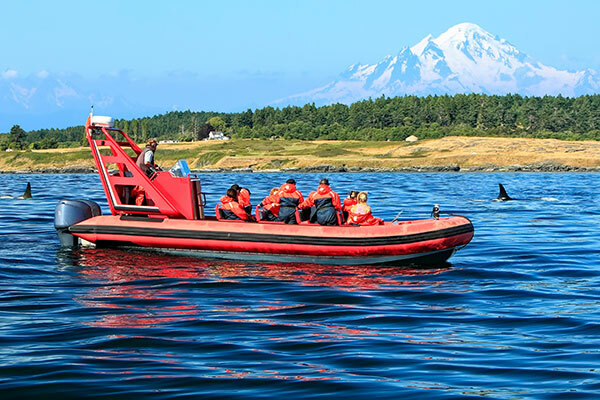 You may even see seals, dolphins, or whales swimming by as you sail along between the Saint-Jean River in the west and the Aguanus River to the east. A Parks Canada interpreter can explain the history of the many islands and islets, the barrens, and the various plant species during a family hike. Either brush up on your French before you head out or request an English tour. The protected Salish waters of Gulf Island National Park Reserve, like the rest of Canada, was first inhabited by Indigenous peoples before European settlers arrived. In 2003, Parks Canada established protection of the area due to the unique ecosystem packed with ecologically diverse plants sea creatures such as Orca whales, wild lily flowers and old oaks. These days families can enjoy sailing along the sea by kayak or canoe; routes vary from easy to challenging and guided kayak tours are available. This park also has an Xplorer program for kids with nature inspired souvenirs. Sidney Spit Campground is a popular family friendly campground on Sidney Island that is home to sandy beaches, wooded trails and wildlife. It is accessible by boat, including the seasonal ferry service from the Beacon Pier in the town of Sidney, but be sure to bring your own food and supplies to the island as there are no services on Sidney Spit. Kids and kids at heart can put their sandcastle skills to the test along the sandy shores of Wasagaming. The beach has change rooms, restrooms, showers, and a playground for younger kids, but the swimming areas here are unsupervised. The backcountry trails are perfect for hiking and mountain biking, and they vary in difficulty from small hills to rugged terrain. 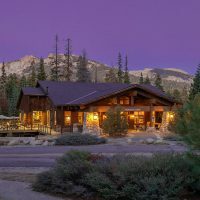 There are several family-friendly guided experiences over the summer such as Wilderness Wisdom on Fridays, where participants learn how to start campfires; Paddle Clear Lake, where you grab a paddle and explore the ecosystem; and Family Fat Bike Rally on Sundays, where you literally zip around on a two-wheeled tour on a fat bike; rentals are available. The park is a 3.5-hour road trip from Winnipeg in the Prairie Province of Manitoba. 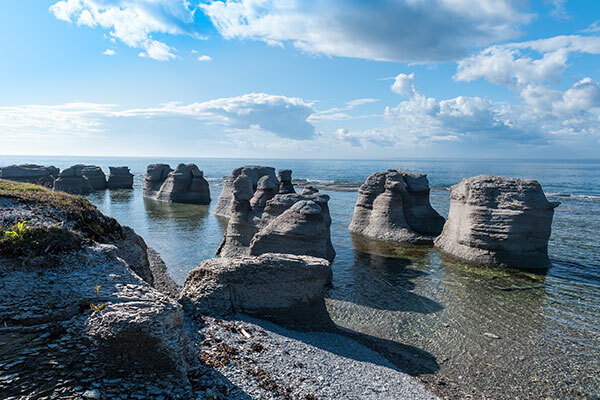 Last but certainly not least is Canada’s smallest province that is famous for fresh sea air, red sandy beaches, and spectacular stone cliffs. 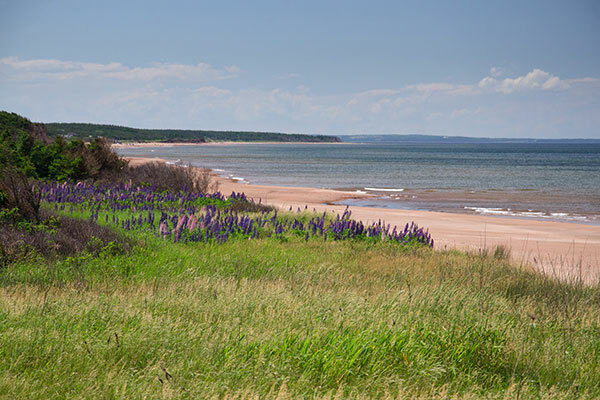 Prince Edward Island National Park extends over 40 miles of dramatic shoreline on the North Shore of PEI in Atlantic Canada. 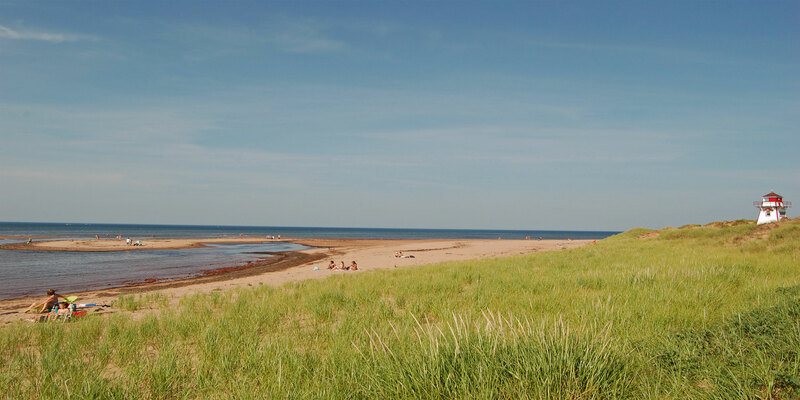 Within the park there are seven supervised beaches during the summer months, such as Cavendish and Brackley; both have change rooms, restrooms, showers and drinking water. And yes, PEI is also home to the lovable and lively Anne of Green Gables. In fact, Green Gables Heritage Place in Cavendish is located in the park. Your kids will love meeting “Anne,” visiting the house where this beloved, red-haired orphan grew up, went to school, and lived. Just like in the popular novel, you can stroll through the Haunted Woods and Balsam Hollow; or learn about Anne’s author Lucy Maud Montgomery herself, born on the North Shore in 1874 and raised in Cavendish. Warm summer nights make for an excellent camping experience so pitch a tent at Cavendish Campground and fall asleep under the stars in the province where the events of Confederation lead to Canada becoming the great nation that it is today.